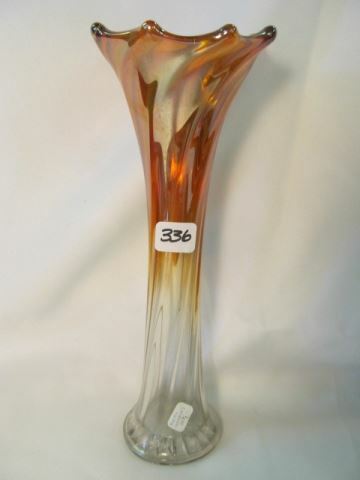 Often confused with, and identified as, Imperial's Morning Glory a similar pattern with vertical ribs. 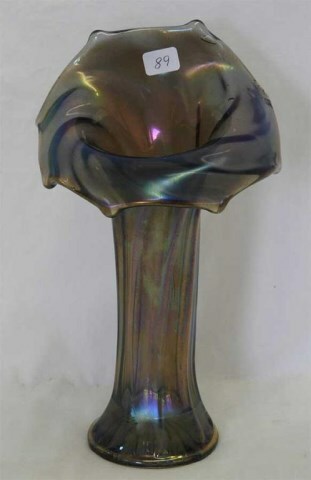 The ribs begin with a curl at the base, then curl around the vase. 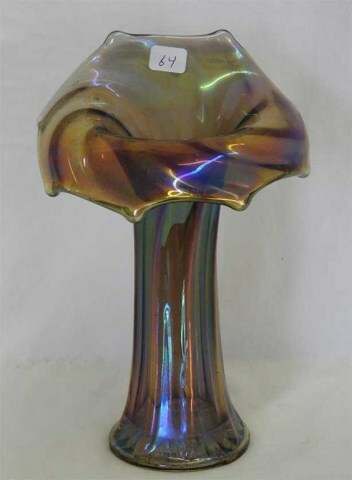 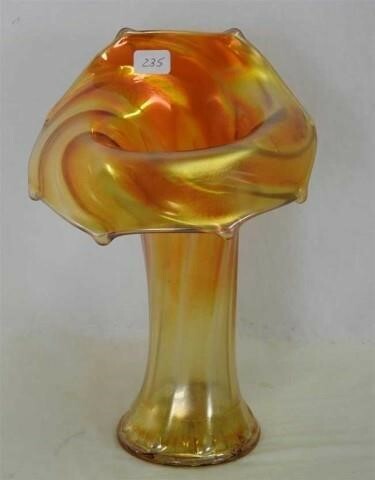 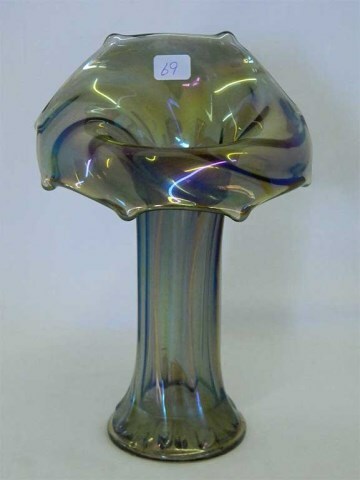 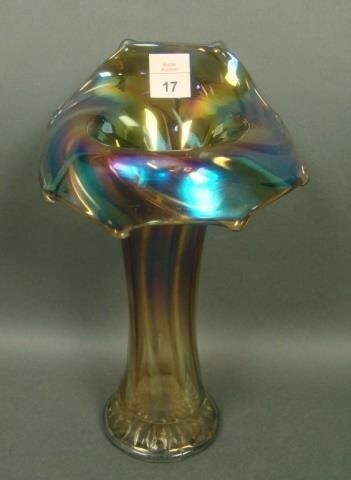 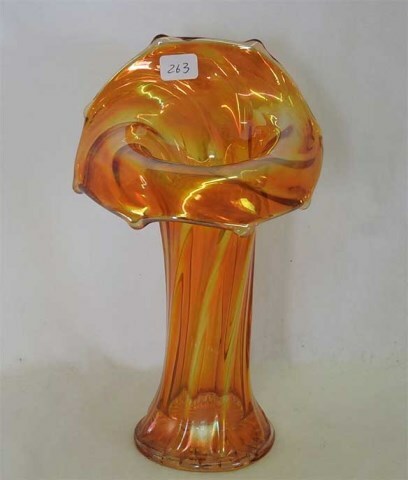 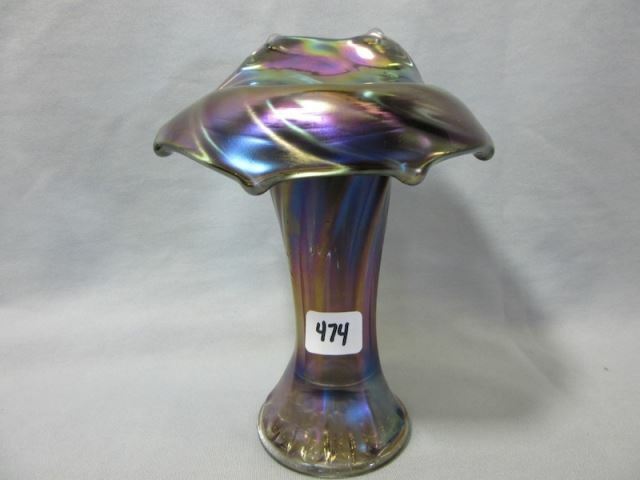 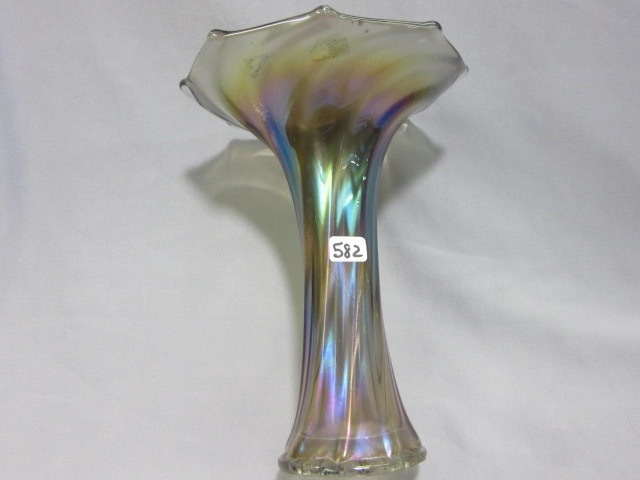 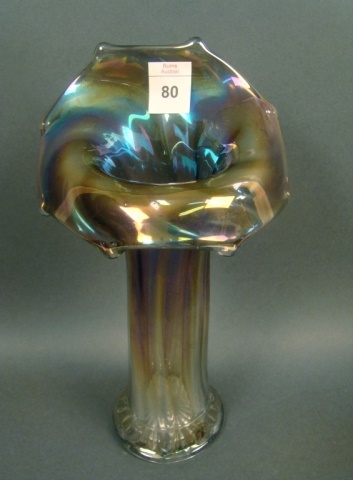 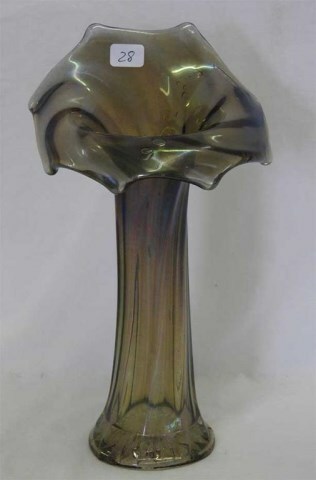 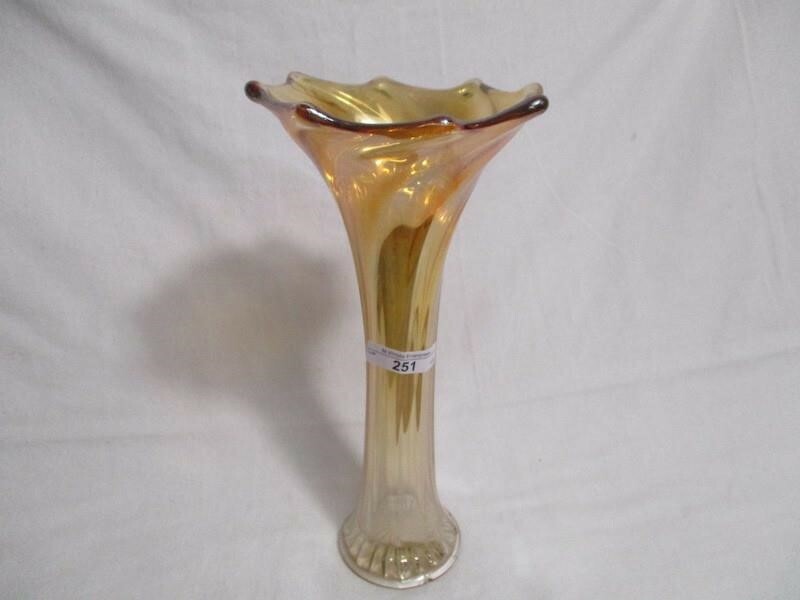 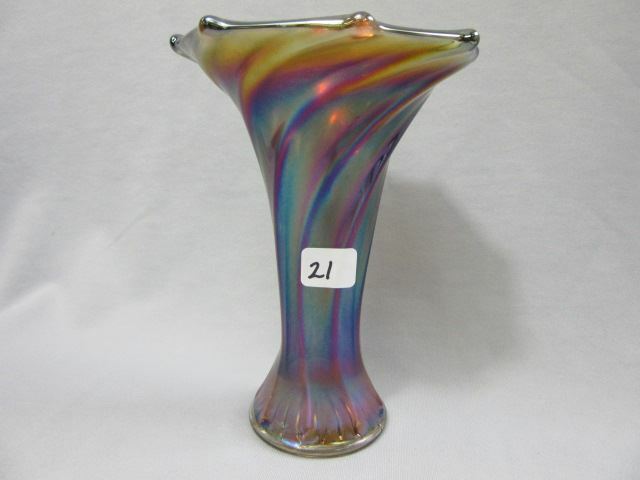 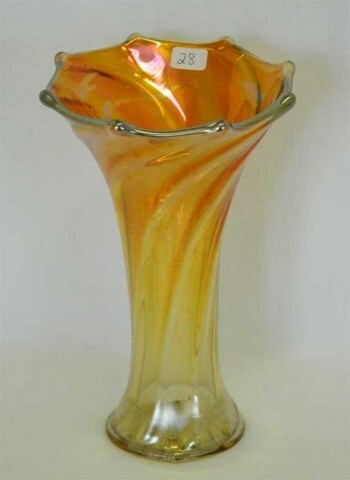 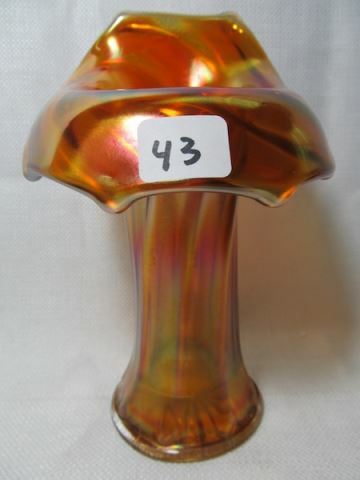 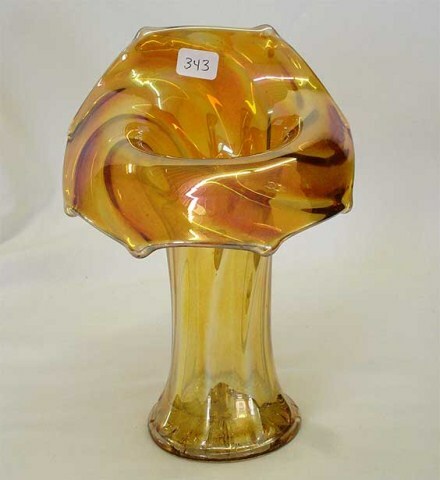 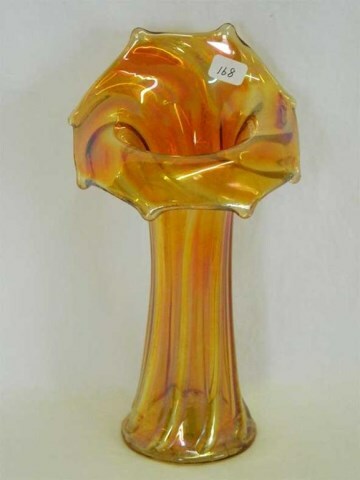 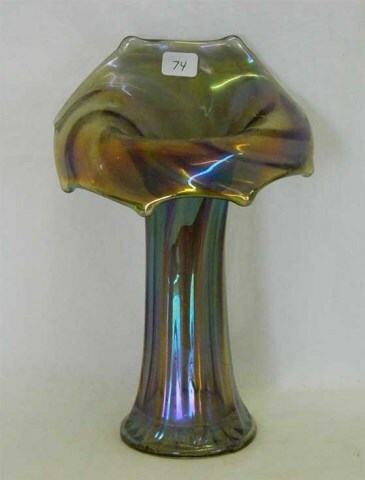 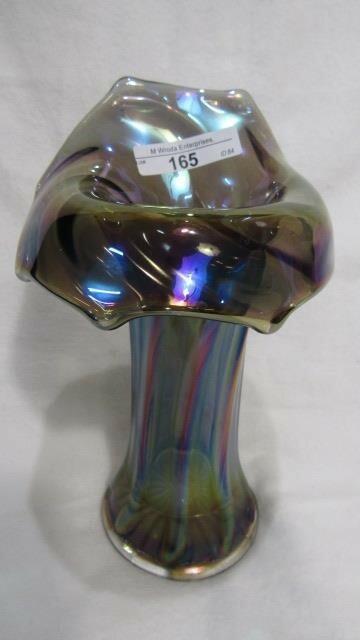 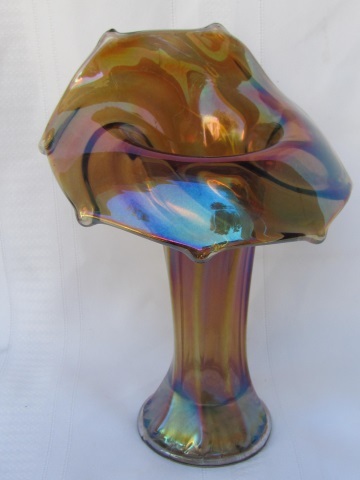 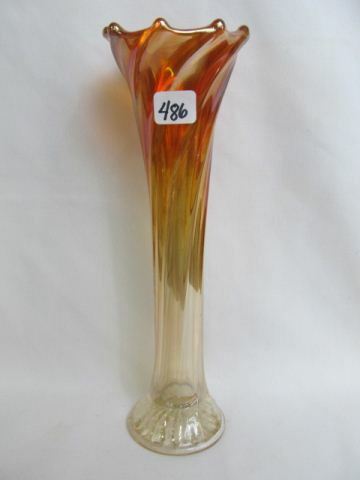 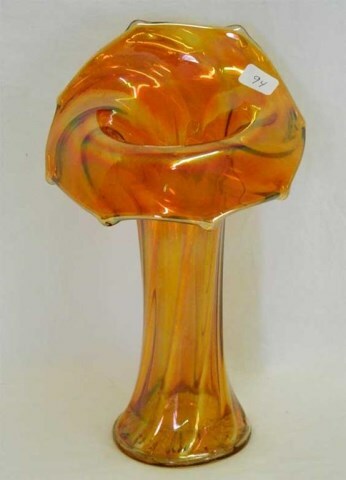 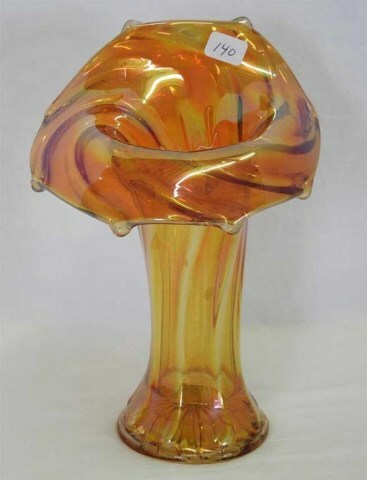 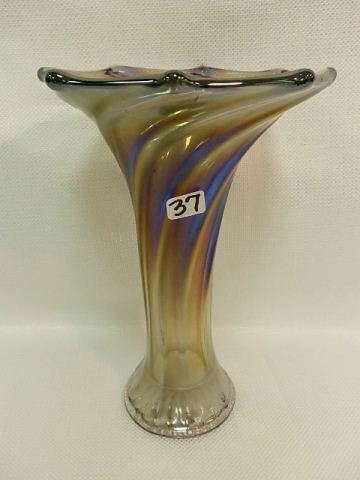 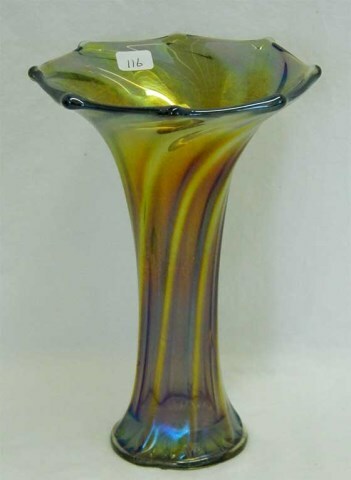 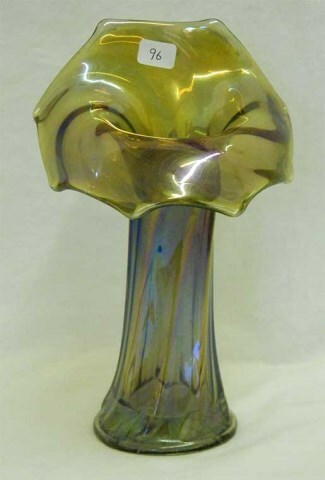 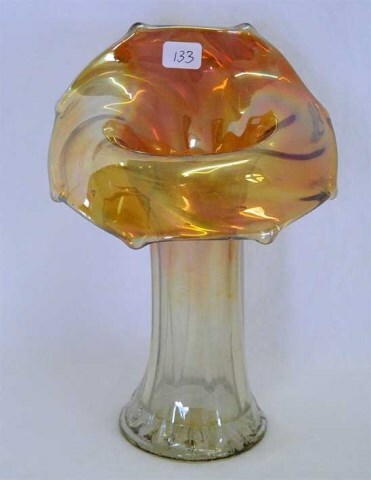 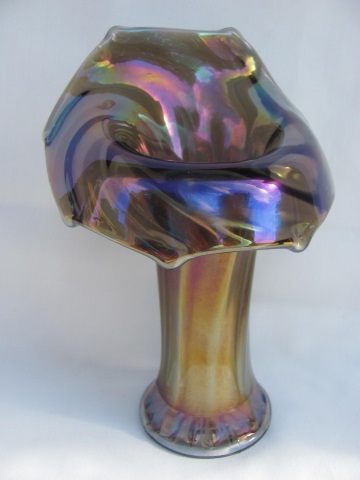 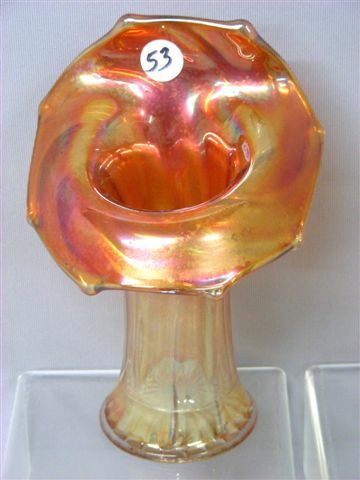 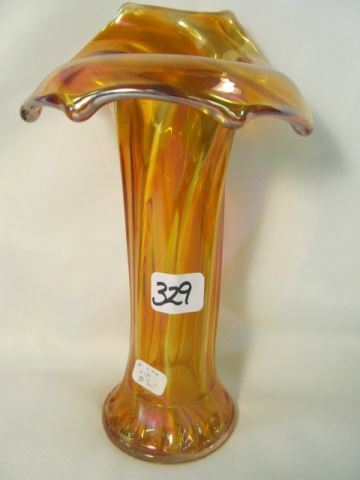 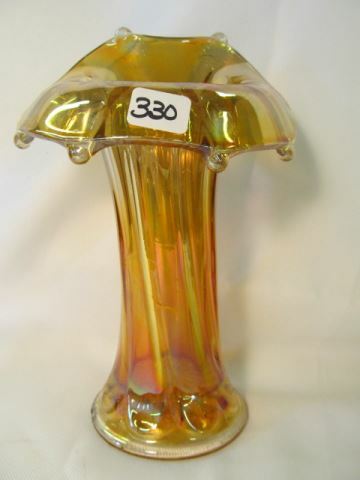 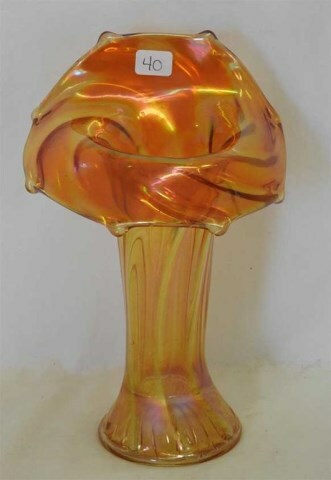 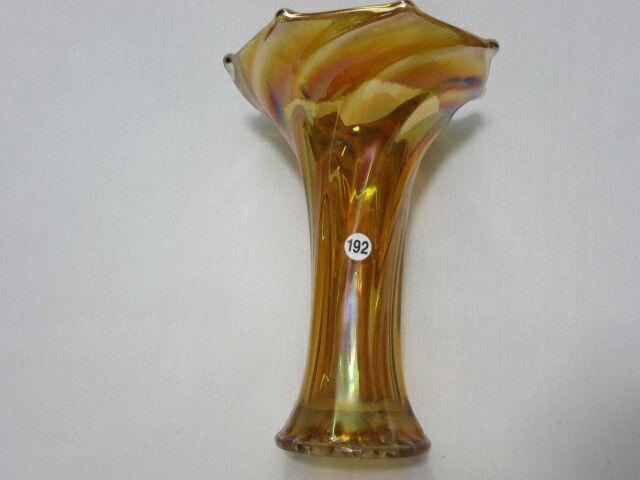 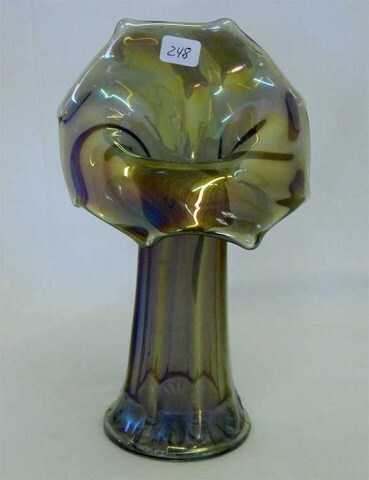 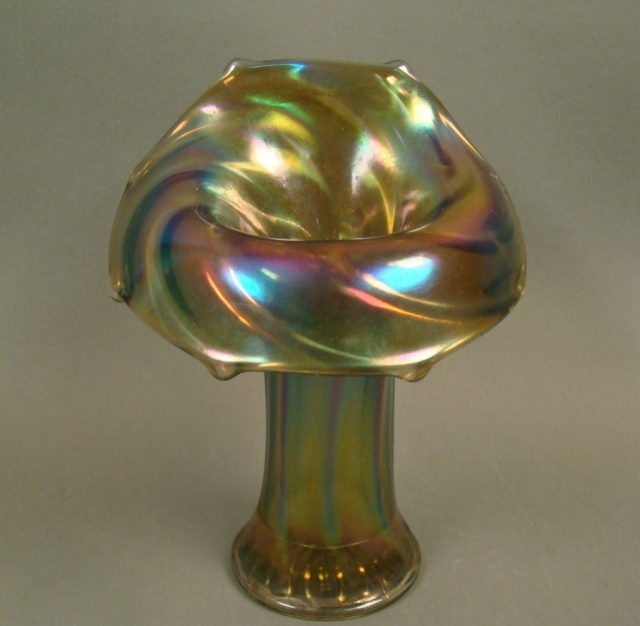 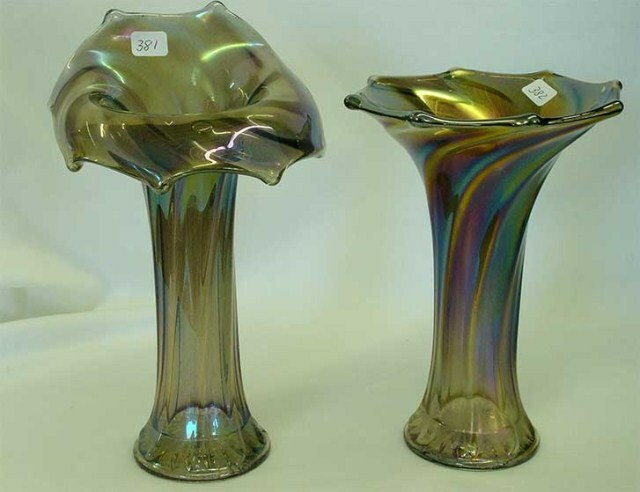 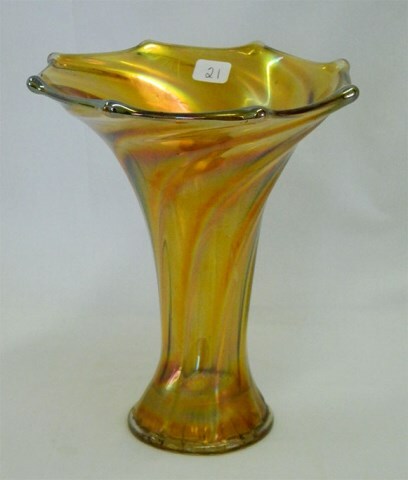 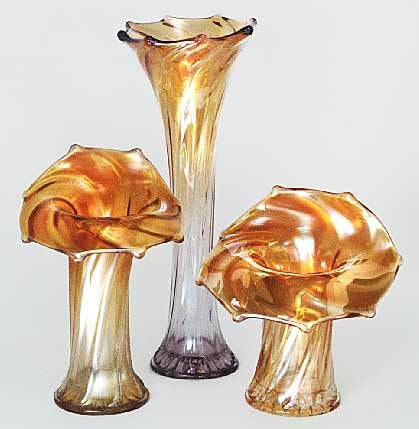 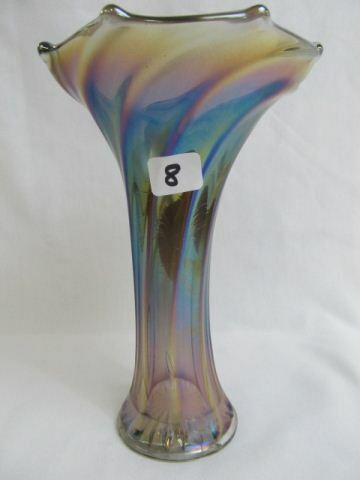 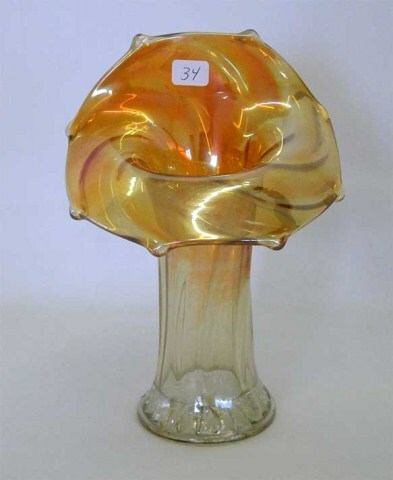 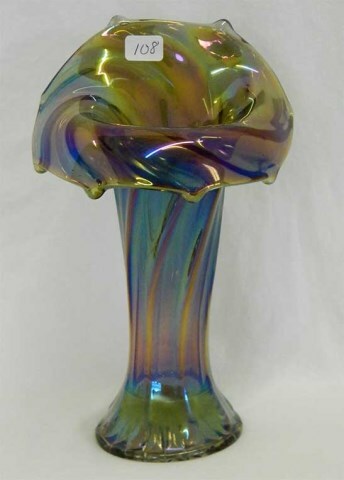 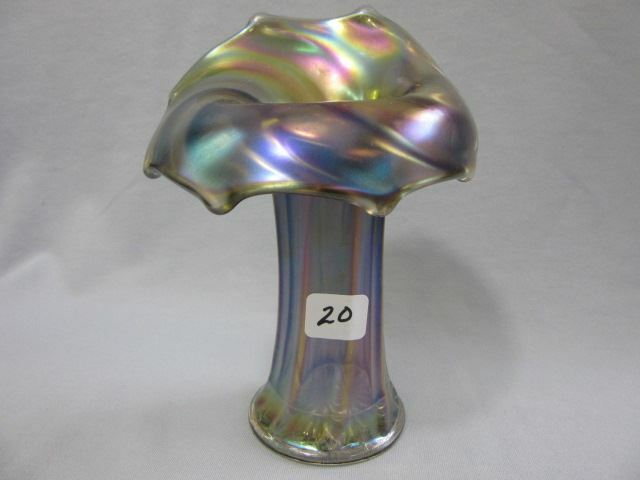 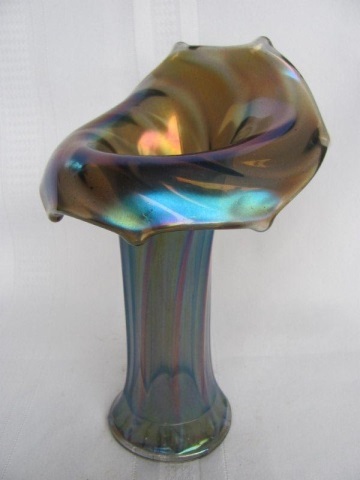 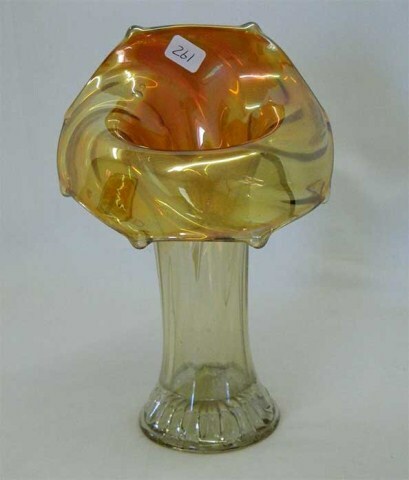 This swirling effect was not caused by twisting the vase during manufacturing, but was molded into the pattern. 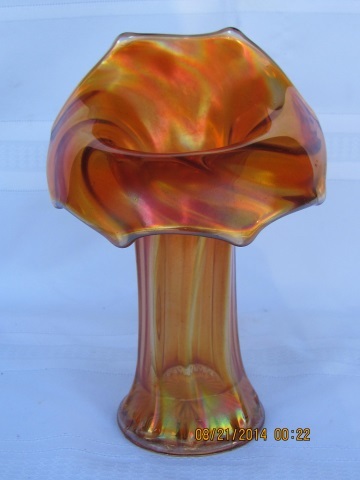 Usually seen in the jack-in-the-pulpit shape which range from about 6 inches tall to 8 inches tall. 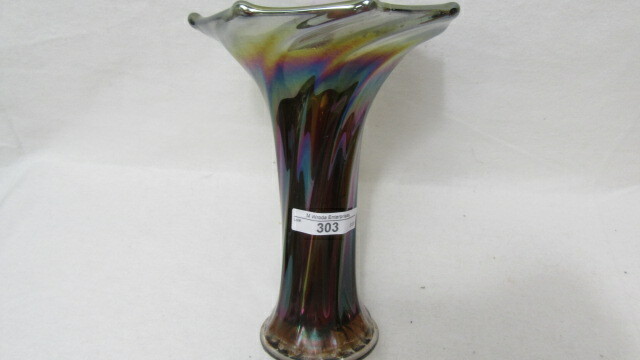 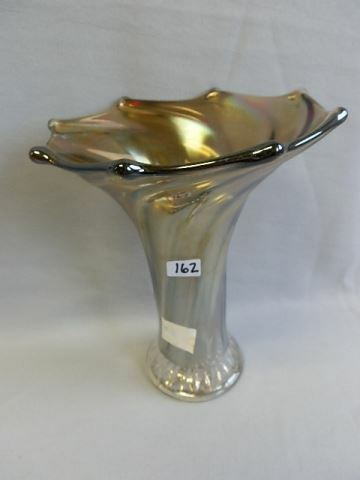 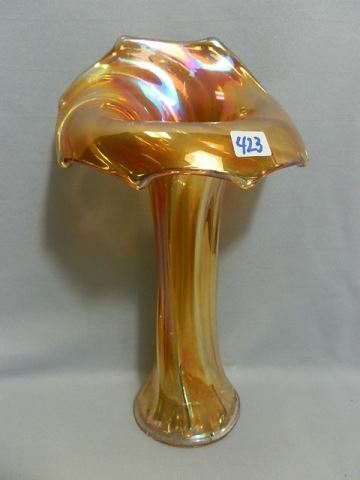 A few are straight up and flared, as shown with the vase in the back.